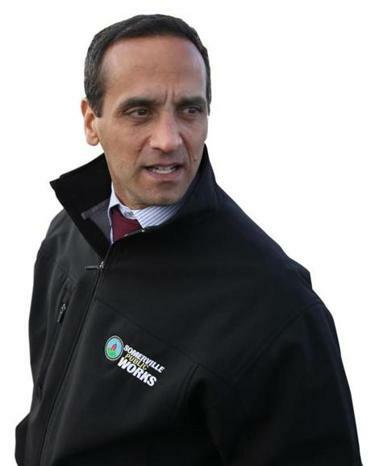 Somerville Mayor Joe Curtatone is behind the city’s 20-year plan. Somerville is the little city that could. Only two miles from downtown Boston, it suffered for years from a kind of second-city complex (or third city, if you count Cambridge). It was in many minds a forgettable backwater of sagging triple-deckers, highway ramps, and car repair shops. But in recent years it’s been putting its bigger rivals to shame. Union Square now approaches Jamaica Plain for inexpensive ethnic restaurants and brunching hipsters. Thirty percent of the city’s residents regularly use public transportation, more than Cambridge. It’s dense, diverse, and gets a great “walk score,” since 95 percent of homes are within a five-minute walk of a store — even if it’s just the Rainbow Spa on the corner. And now, it has developed a comprehensive master plan to manage its robust growth, something the city of Boston hasn’t done for nearly half a century. The plan sets out ambitious goals. It calls for 20 percent of new housing units to be affordable, compared to about 13 percent currently required of developers in Boston. It commits to developing 125 acres of new open space. It aims to complete a community path through the city for bikes and walkers that will eventually hook up to NorthPoint in Cambridge and connect all the way into Boston. What the 20-year plan doesn’t have is a way to prevent gentrification. With six new T stops on the promised Green Line expansion, Somerville is the ideal laboratory for transit-oriented development. Already housing prices are rising in anticipation of that development, up 10 percent from 2011 to 2012. Rents are escalating even faster. Some public schools report that children are leaving the district because their families can no longer afford to live there. Bill White, president of the Somerville aldermen, rained on Curtatone’s inauguration parade this month by describing the downside of upscaling. “Especially with the Green Line, our city has become ripe for speculation and development,” he warned. Curtatone recognizes the pressures of Somerville’s new celebrity. “We don’t want to lose our soul in gaining our prosperity,” he said. Although there’s no easy way to stall gentrification, he said SomerVision offers a chance to take a strategic look at forces that are driving up housing costs across the region. And SomerVision dedicates itself to preserving the artists’ housing, “maker spaces,” and independent businesses drawn to Somerville by cheap rents. One good thing about a comprehensive planning process like Somerville’s is that it forces public officials to look beyond the next election cycle. Another advantage is that it mitigates community opposition to zoning or development proposals, since residents have already bought in to the larger picture. “Values will guide our planning,” Curtatone pledges. Could Boston benefit from such an exercise? With a new mayor and a re-think of the development process underway, it might seem an auspicious time. Even though most of Boston already is built out, it still has a lot to learn from its little neighbor to the north. The truth is, smart city planning in Somerville ripples throughout the region. We all need a new vision. From Quincy to Chelsea, we’re not a second city or third city, but one city.